When simple isn't in the vocabulary. There’s a school of design that dictates more is better, and too much is best. 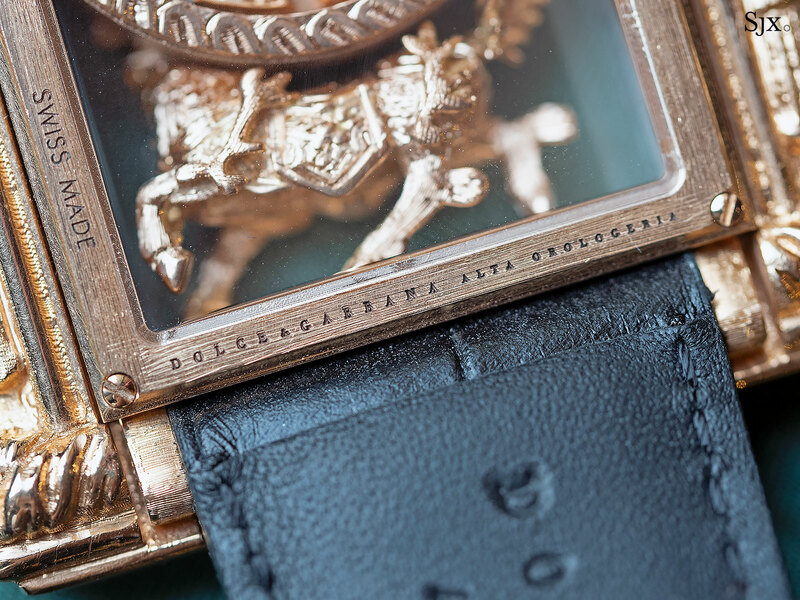 Dolce & Gabbana’s Alta Orologeria line of watches exemplifies that philosophy. It’s an offshoot of the brand’s Alta Moda and Alta Sartoria lines of clothing for women and men respectively, which are extremely high end versions of D&G’s signature flashy styles. Alta Orologeria is a tiny collection, perhaps a half dozen examples in total, with every piece unique, inspired by a diversity of themes, from Chinese mythology to European monarchs. But all share a relentless, inexhaustible ornateness that covers every surface, inside, outside and in-between. 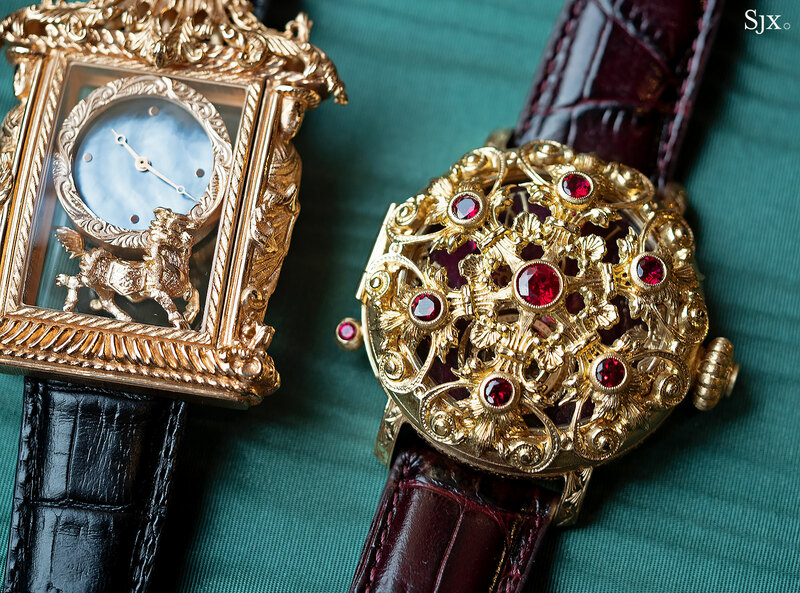 Each of the watches is a Macau casino that’s been miniaturised into an object for the wrist. 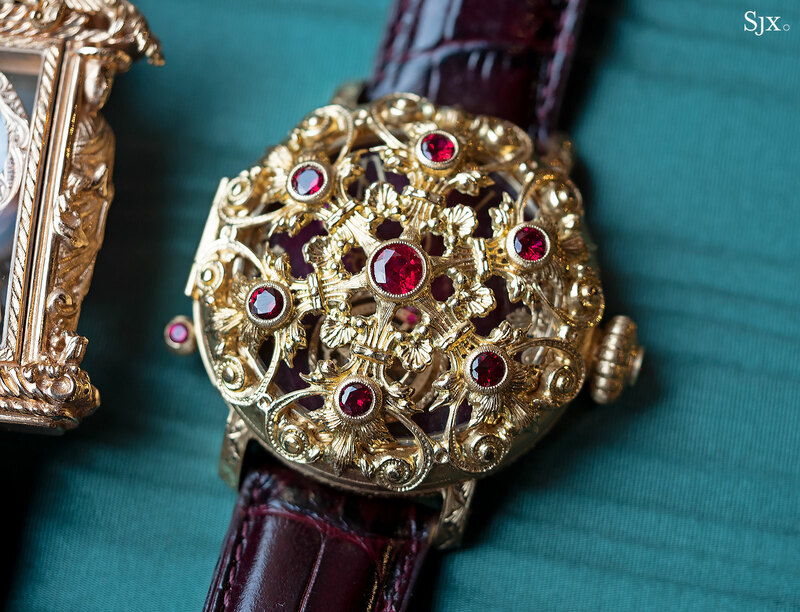 While an acquired taste by a large margin, the extravagant Alta Orologeria watches are executed with tremendous craftsmanship and detail, a fact that’s easily lost amidst their near-comical excessiveness. And are they far removed from metiers d’art, handwerkskunst or “rare handcrafts”? 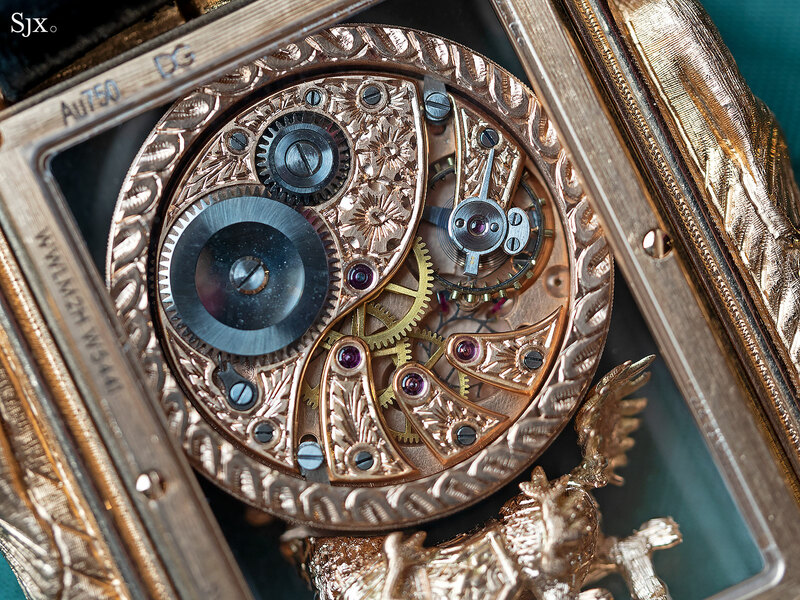 Most of the case work and decoration is executed by Italian jewellers, but because Alta orologeria translates as “high watchmaking”, the movements used in the line are either vintage movements that have been given a thorough makeover, or modern calibres produced by complications specialist Manufacture de Hautes Complications (MHC), which also supplies Girard-Perregaux, H. Moser & Cie., and Bell & Ross. 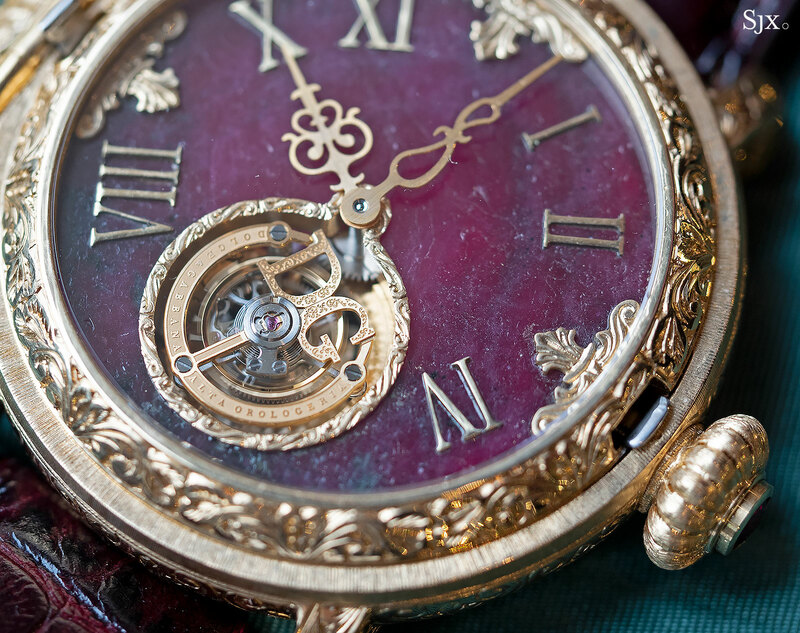 Take for instance the Federico II, a minute repeater with tourbillon named after the 16th century Duke of Mantua, which retails for about €700,000. 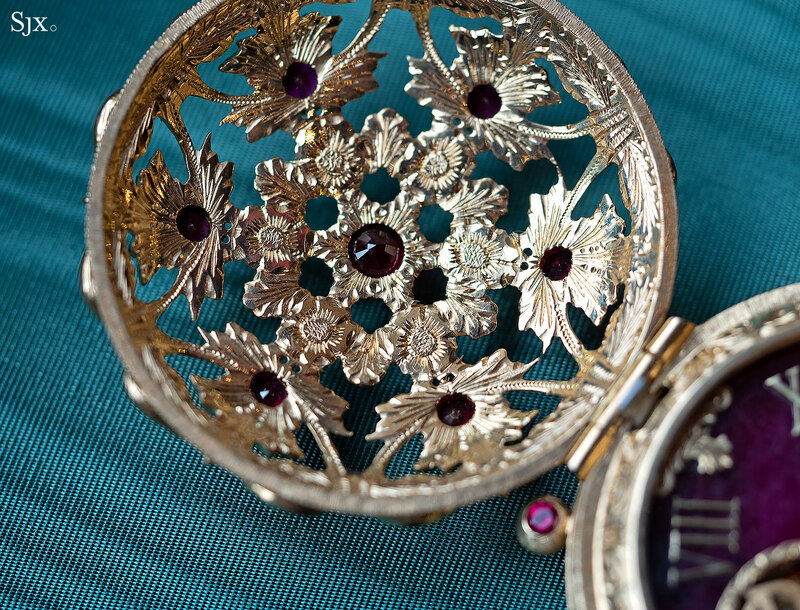 The case is 18k yellow gold with a hinged lid that pops open via a button on the crown. Amusingly the front is inspired by antique secret watches, typically ladies’ watches that had their faces hidden by decorated covers. 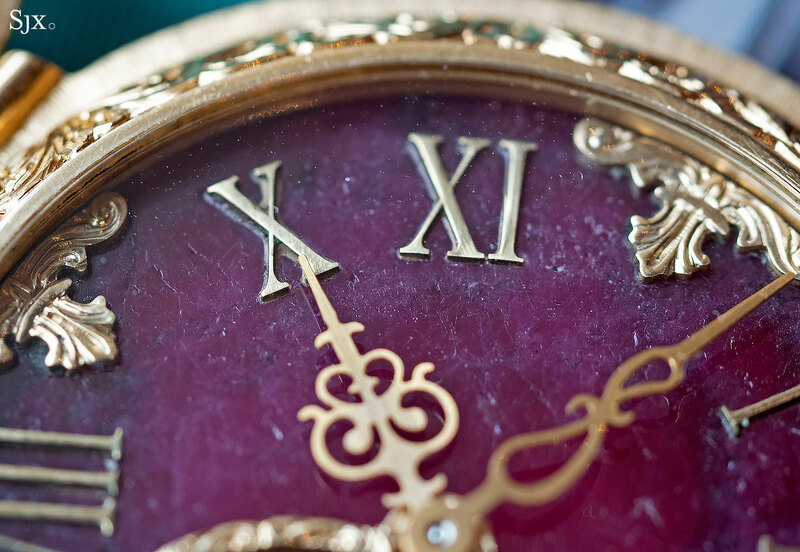 This watch, however, is anything but secret. It is 46mm in diameter and massive. 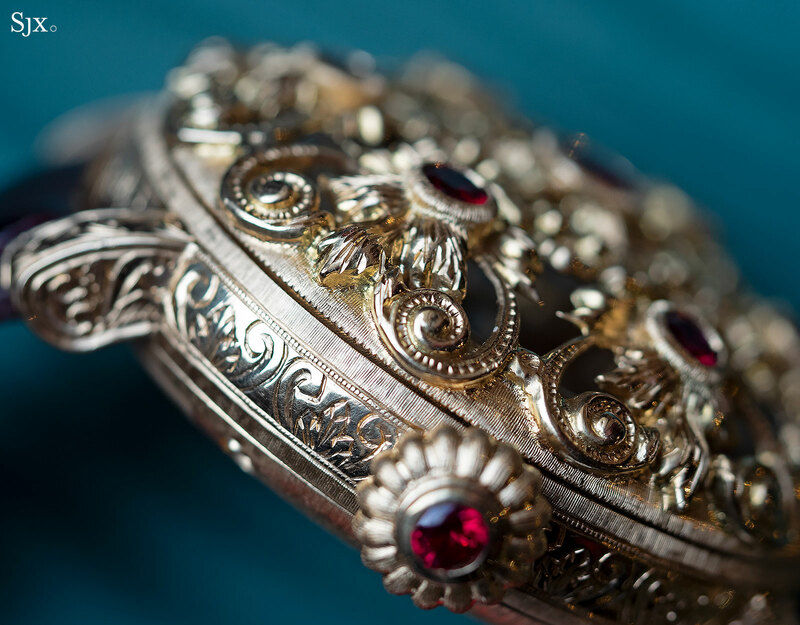 The lid is open-worked, hand-engraved and set with seven rubies, plus one each on the crown and repeater slide, meaning the red gemstones total just nine and over three carats. 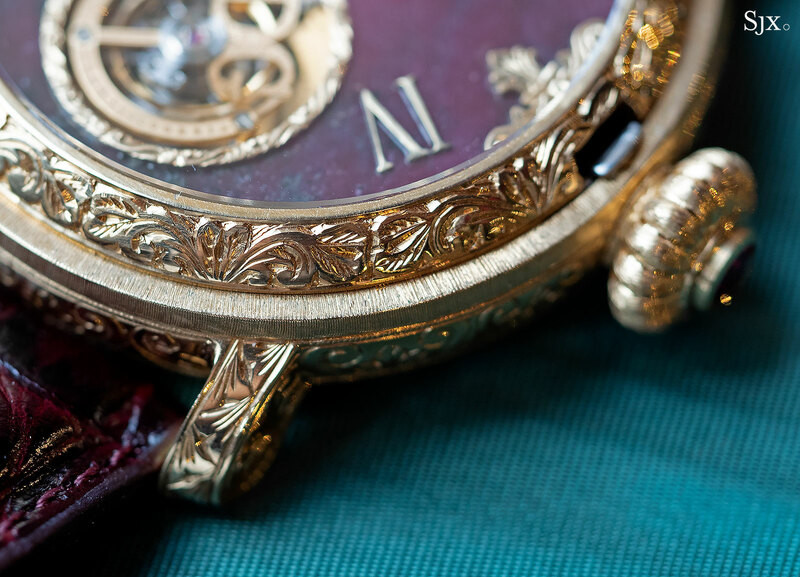 And the dial is also ruby, thinly sliced and inlaid with solid gold markers. 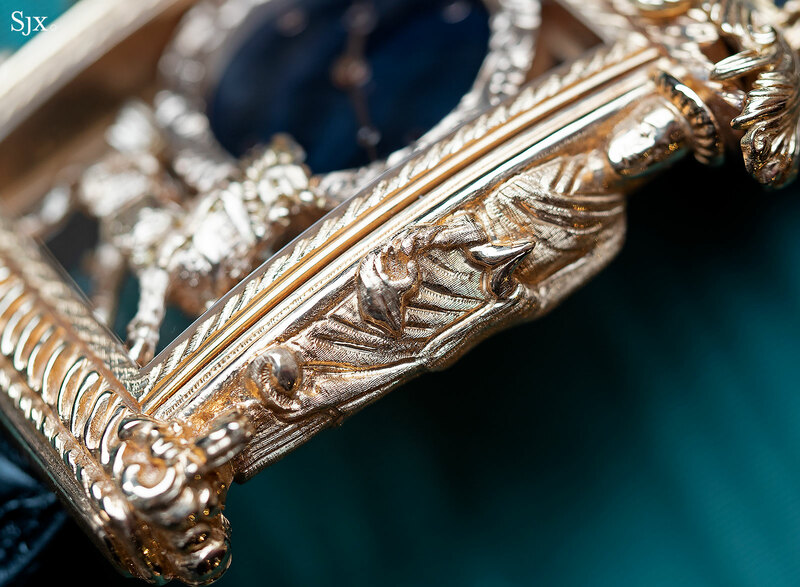 Similarly, the Louis XIV-style hands are also solid gold. To say that the case is fully engraved is an understatement. 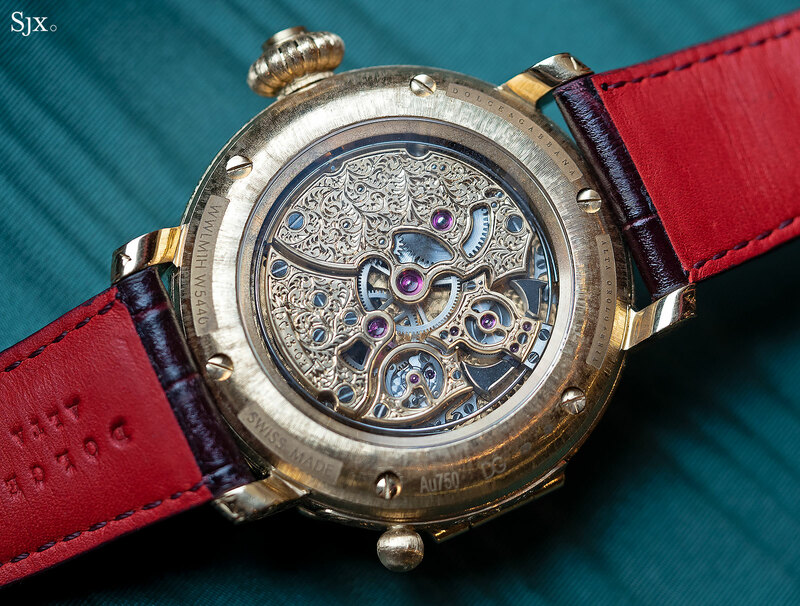 The underside of the hinged cover is engraved, as is the step that separates the bezel from the case back, and also the bridges of the movement. The hand-wound movement is made by MHC, with the base movement also found in watches by H. Moser & Cie and Speake-Marin, amongst others. 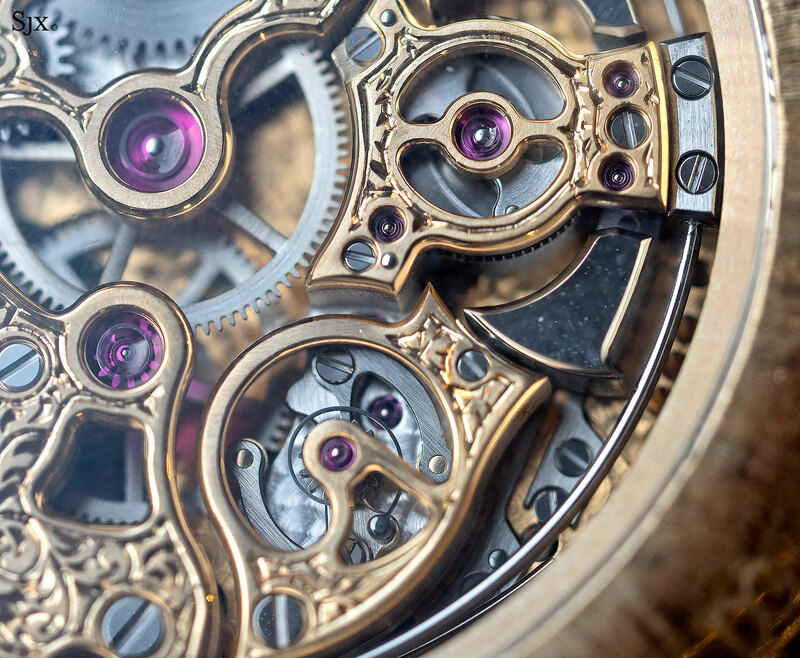 Geneva-based MHC is also responsible for the triple-axis tourbillon of Girard-Perregaux. 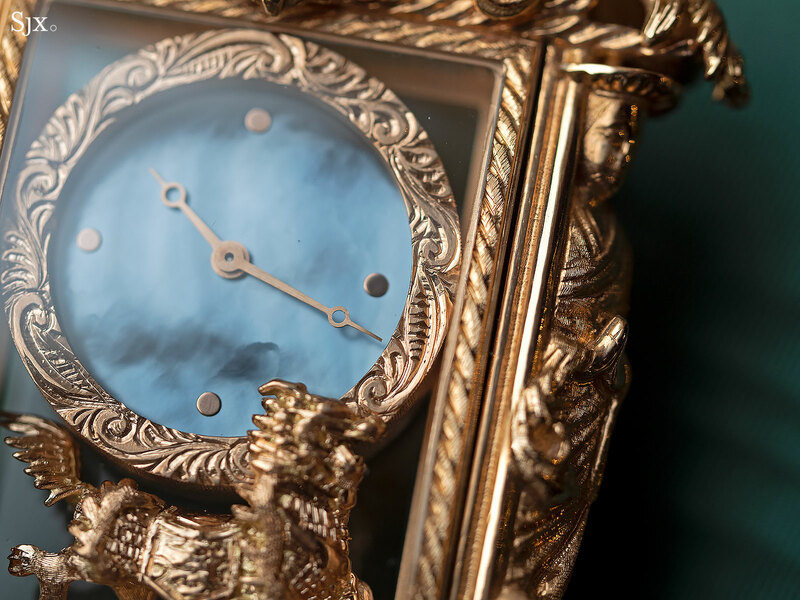 The entry-level watch in the collection, if there is such thing, is the time-only Qilin. 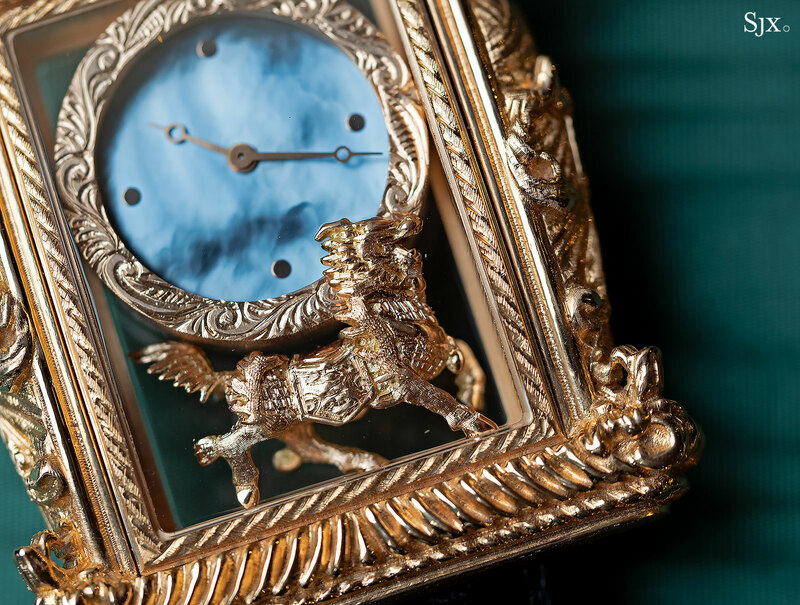 Named after the Chinese mythical creature that’s a combination of dragon and horse, the Qilin watch takes the form of a carriage clock, the small, boxy timekeepers using for travelling in the 19th century. 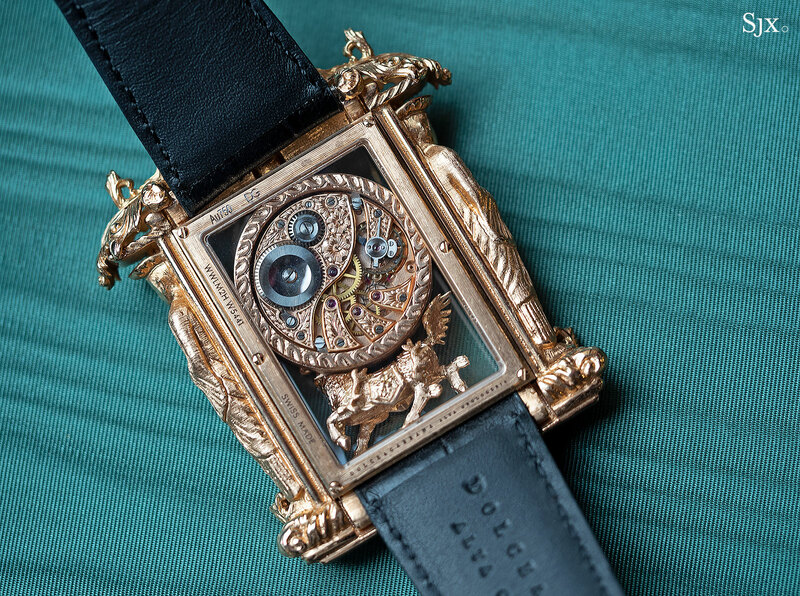 The Qilin watch feels like an enormous, oblong chunk of gold and it actually is, being 38mm wide and 44mm long. 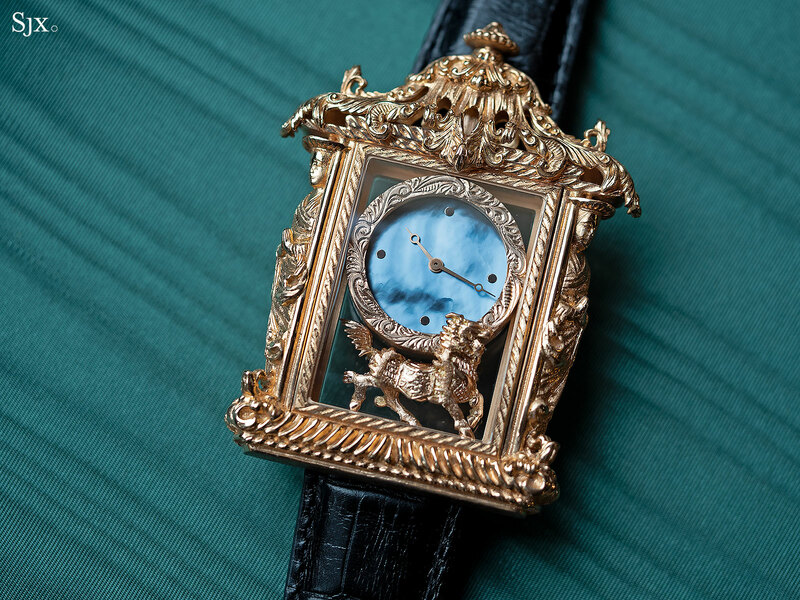 While watchmakers sometimes hollow out gold cases and parts to reduce weight and cost, the gold case of the Qilin is solid through and through. The highlight is a tiny Qilin sculpture standing at six o’clock, framed by standing figures on either side and topped with a cascade of curlicues. 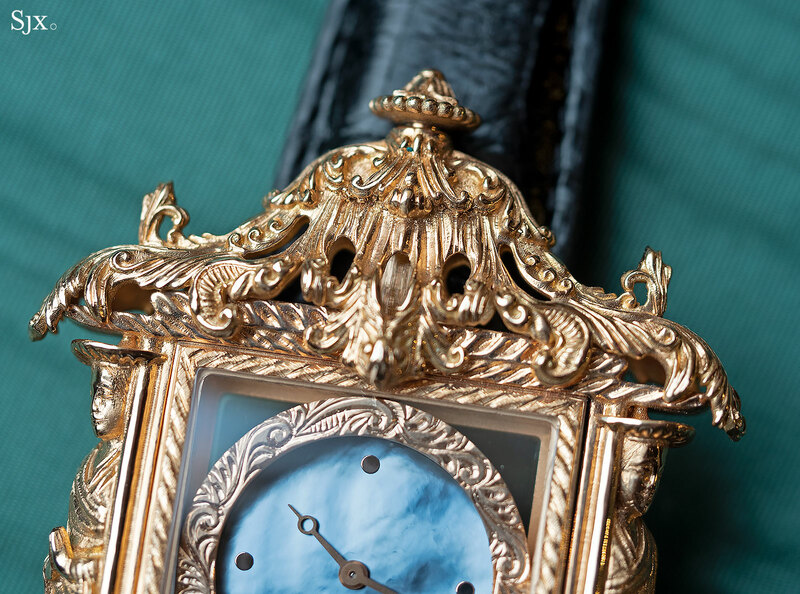 Right above is the mother of pearl dial showing the time, which is the simplest element of the design. The degree of detail in the relief engraving is quite extraordinary. 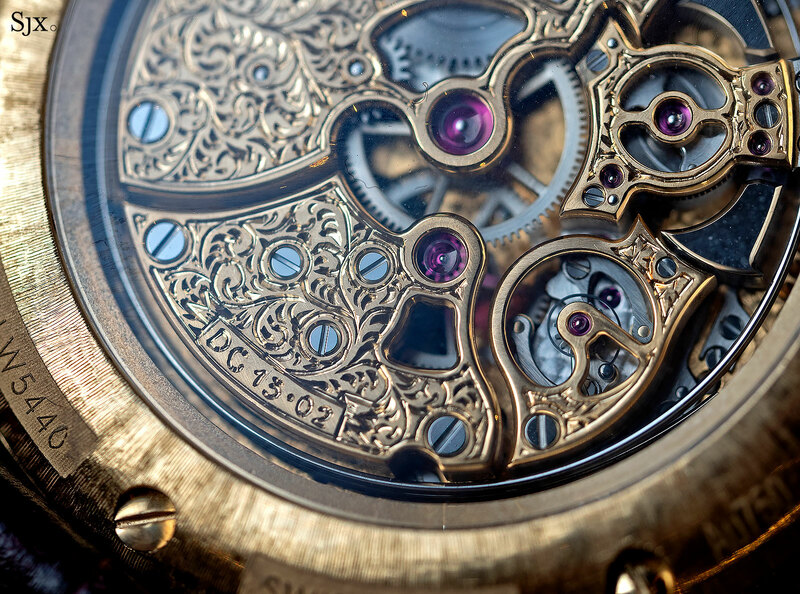 Since the watch is fully, fully engraved, the movement is as well. It is a vintage calibre from the early 20th century. It’s hand-wound with a 30-hour power reserve. The Alta Orologeria watches start at €145,000 for the Qilin, rising to €695,000 for the Federico II minute repeater tourbillon. They are only available by special order at Dolce & Gabbana stores. Update July 18, 2018: Prices in euros added.